This morning at 3am is 3 guides headed up the Khumbu Icefall to Camp 1 to carry some of our personal gear and to also familiarize ourselves with the route before we take the team in another day on the 22nd. The Icefall doctors who set the route through the Icefall have done another incredible job and were working hard again today to put another down route in on a tricky spot where there would likely be some traffic jams. All 3 of us guides felt like the route is in great shape and are happy with it. Lakpa Rita took the team on a hike o the other side of Basecamp towards Pumori for a little exercise and further acclimatization after breakfast. Our Sherpa team has also been working very hard to get all of our equipment up to Camp 1 and 2 so we can head up to begin our rotations on the mountain. And after almost two weeks here in Basecamp we are ready! Tomorrow we will finish packing and rest before the big move up to Camp 1 at 19,500ft. 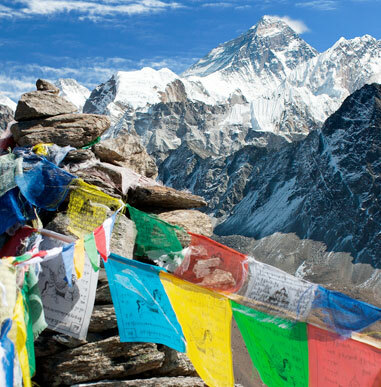 Our plan is to spend 3 nights at Camp 1 and then 2 nights at Camp 2 before descending back here to Basecamp. I will update here on our rotation but for the most part the team will be disconnected until back to Basecamp on the 27th. We have been prepping each day towards getting ready for our first rotation up the mountain and we are finally just about ready. Today, after breakfast we went into the Khumbu Icefall for our first dry run. The team really did do very well and could tell that our few days of review and training paid off. 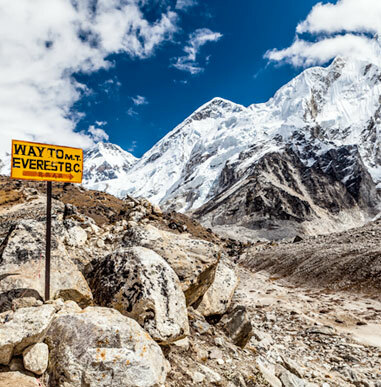 One of the common misconceptions about Everest these days is that it’s easy. 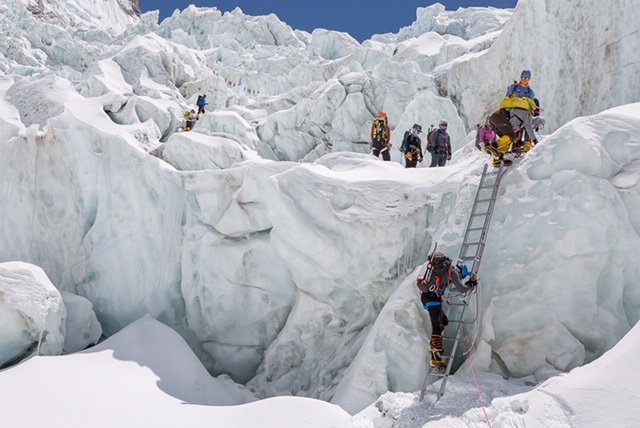 Even though there are fixed lines, Sherpa carrying a lot of the equipment, and the Icefall doctors working hard to set and maintain the route in the Icefall, it still is a difficult climb. It’s also easily the most beautiful place I have had the opportunity to climb. 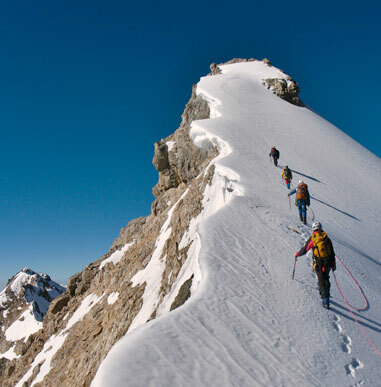 The three of us guides will head up to Camp 1 early tomorrow morning to carry some of our personal gear and to also check out the route through the Icefall before heading up with the Team in a couple days. We’ve got a patient group but we are all looking forward to beginning the actual climbing! Looks like the 22nd will be our day to head to Camp 1 where we will spend 3 nights, and then on to Camp 2 for 2 nights before heading back to Basecamp.